It may sound silly, but those words have effected me in different ways over the years. Spoken to me by a dear friend who is no longer with us, but lives through us everyday, Stuart Andres. At the time, I considered myself kind of a music maven, an elitist of sorts. In that, I missed out on a lot of stuff that was just there to make you feel something. It may not have been a social boundary tune, or a call for change, uprising, defeat, class war, a song for action or plight, or any of the like. Sometimes it’s just a song. It’s open for interpretation, a lot like artists that create visual pieces. Music goes hand in hand, in my experience, in the creative process for visual artists. It may not always be an explorative nature, or an influence to direct work, but for me it is in the background as much as possible when I work on artwork. It helps a little with the separation of myself and what I am working on, sort of a barrier that makes it easier for me to step back and look at a piece a bit more from the outside. I don’t know exactly how to explain it. For me, personally, it just works. I can, however, share with you some of my favorite artists, albums, and songs that over the years have cemented themselves as “go to” works that I enjoy while making something. I don’t think I will ever be able to possibly list them all. Nor would I expect anyone to go through the entirety of a lifetime of music in a blog post. I’ll continue to share more favorites in posts like this in the future. There’s a lot of music out there, and a lot to create. Pound for pound, probably a top 2 album all-time for me. Since it’s release, it has been a constant in my life. Upon it’s release in September of 1991, it completely changed me. It changed the way I looked at not only hip-hop as a whole, but all art. It was, and still is, one of the first albums I completely fell in love with, and it’s been on rotation since day one. A Tribe Called Quest, to people that know me well, are one of my absolute tops as far as artists go. There’s no way I can aptly put into words what this album means to me, so I won’t try. I generally celebrate De La’s entire catalogue, and 3 Feet High and Rising could easily be in this place as well. However, when ‘Stakes Is High’ was released in 1996 it completely changed the sound and delivery I was used to with De La Soul. They flipped on this album, and we all reaped the rewards. This has sonically been there for me through good times and bad, and I am grateful for the Plugs One, Two, and Three. It’s really just solid. I’ve been listening to this basically my entire life. I feel like this album’s sounds are interwoven into my being, and therefore it makes this first list. The first dance at our wedding was “Into The Mystic” and “It Stoned Me” and “Brand New Day” warm me like a blanket when I need comfort. Top to bottom, it just works for me. Creatively, personally, and aurally. Thanks, Stu. We miss you. If you follow me on a social media platform, you may have noticed I am going through kind of a "re-branding" of sorts, personally. At least that is what I am looking at it as. While there are pros and cons in every decision involving a wholly personal matter, I felt that using a working studio title was a good choice in the long run. I started Portlandism in 2006 as kind of an ode to Portland, Oregon. My home. It started as a photo project, and labor of love. Essentially a scrapbook of Portland throughout time. The good, the bad, the changes, and neutralities. 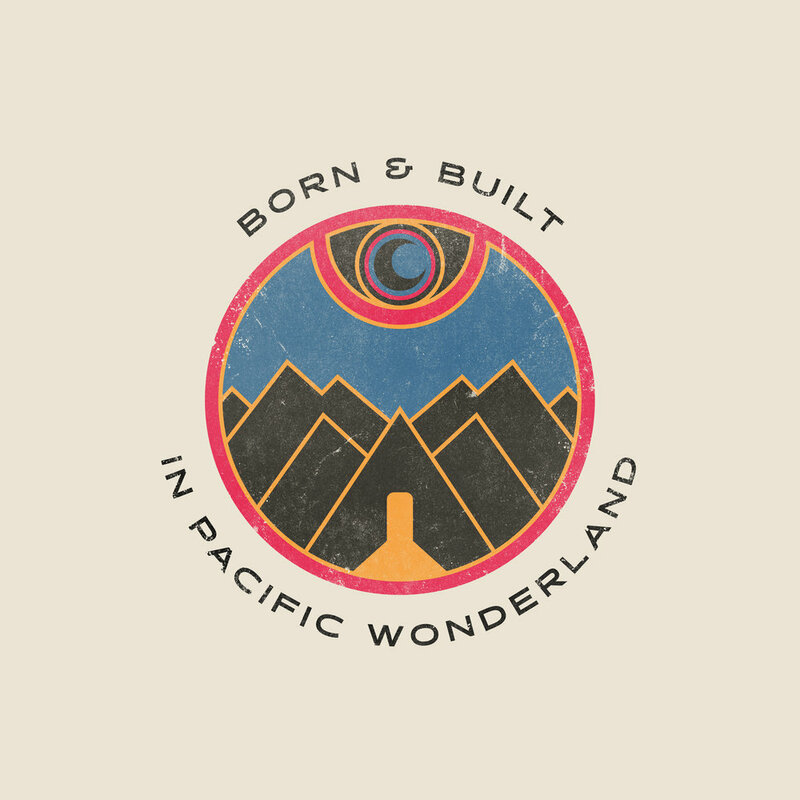 Originally, Portlandism was also going to be my working studio brand. However, the Facebook page I had made for it blew up after I had broken the news first that a local icon passed away. Portlandism went from 126 "Likes" to almost 10,000 in just 2 days. Since the site was associated with old photographs, I didn't want to confuse folks with a drastic change in content. Plus, I still enjoyed (and still do) digging through photos and posting them for folks to look at and appreciate. I toyed with using Portlandism on and off for years, using Portlandism Studio at one point. Finally, I made the decision to stop flip flopping on that, and just used Portlandism for its original intent. It's purely a personal project. I had to appreciate it for what it was, and had become. With that decision, I created the VERY short lived 11lb Studio as a working studio and online shop that housed some of my prints and designs. I quickly realized that I wasn't really attached to it, and it felt like more of a project on the side, rather than my own, tangible thing. I just felt indifferent, and to be honest, kind of generic about. I liked the logo I made, that's about it. That surely is no reason to base an entire body of work behind it, and it didn't take long for me to slowly back away from that. I took my shop down, all my art work I had curated to show, all my items I had sampled and tested to release, and so on. It was bitter-sweet for sure. Why am I wanting a studio title? Why don't I just use my name instead of branding something? To put it simply: I just want something different. Something that completely isn’t attached to my name entirely. I enjoy being able to separate that to a degree. 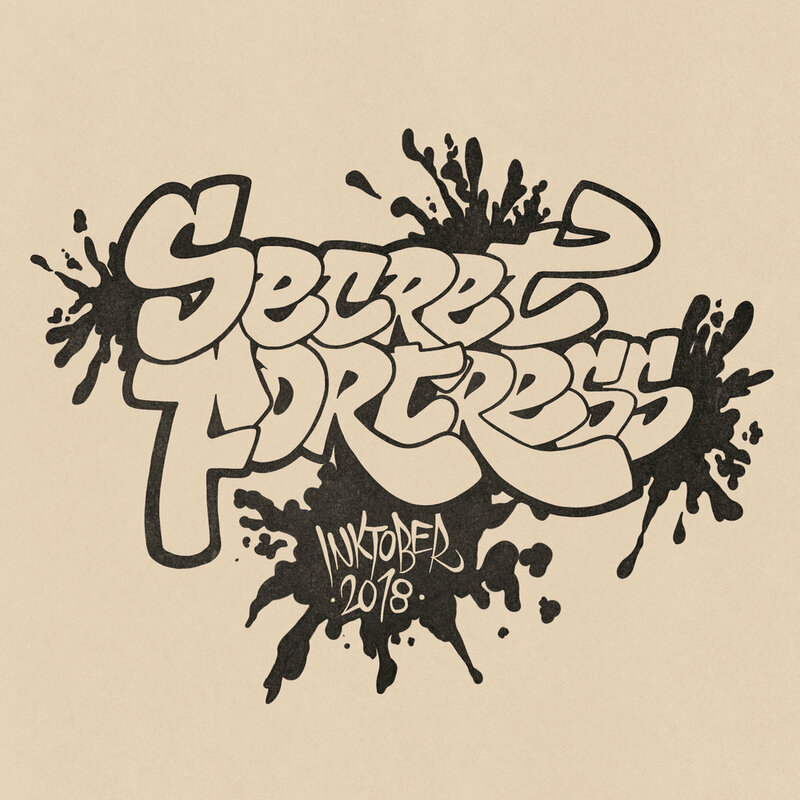 This brings us to Secret Fortress Workshop. As I type this, I am simultaneously tweaking stuff on the site behind the scenes to shift from my "J.Pedegana" page to the current Secret Fortress format. It should be rough, but ready, by the time anyone is reading this. The plan is for it to go live tomorrow (Friday, September 1, 2018) morning. From there it is anyone's guess on what the future will bring. I am excited to move forward with a new outlook, and a bit more experience. I beleive the balance of preserving self, while putting yourself out there as an artist, is an ever tipsy walk. For now, though, I feel like I have some steady footing and am ready to hike through. Thanks again for reading through these assorted thoughts assembled randomly on the interwebs. By this time tomorrow, the switch will have been flipped, and Secret Fortress Workshop will officially be onto the next step. I will touch on what that entails in the next post. I hope all is well. Make it count.